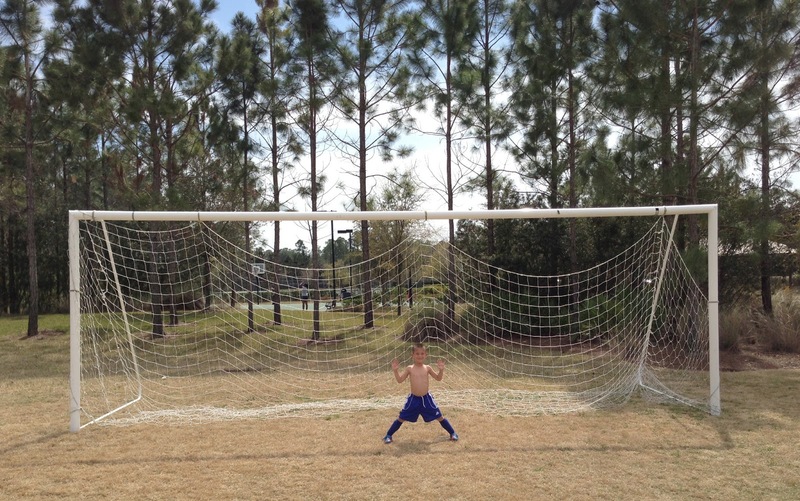 Connor's third season of soccer with the Giant Alligators started today. Connor has been keeping up on his soccer practice over the winter with the I-9 soccer at his school and it showed today during the game. He possibly had his best overall game ever. Connor did well controlling the ball, passing it to teammates, defending the goal and he scored four goals himself. The team won 13-12 against a very good team. Everyone on the team played aggressively and everyone scored a goal. Connor's fourth goal of the game. Paige enjoyed playing with Cole on the sidelines. After we were done, Connor still wanted to play some more so I took him to the neighborhood soccer field and we goofed around for a while. He liked being the goalie.